Park Residences features boutique Sarasota condos for sale nestled in a quiet and refreshing setting in South Lido Key. These residences are located on 129 Taft Drive corner Benjamin Franklin Drive and directly abuts the South Lido County Park and the lush Ted Sperling Nature Park. 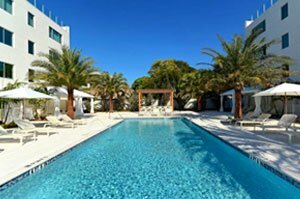 Park Residences is a venture of Seaward Development, which is also behind 7 One One Palm condos for sale and the redevelopment of the Versailles condominium, both in downtown Sarasota. The Sarasota-based Seaward started developing this Lido condominium in December 2014 and completed it in February 2016. 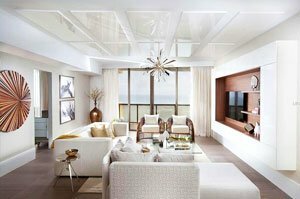 Park Residences flaunts a coastal contemporary design from the drawing boards of the award-winning DSDG Architects which had a similar rendition done for the makeover of the Sarasota Yacht Club. DSDG designed Park Residences with two buildings both four stories high and housing a total of just 18 luxury dwellings. The two residential structures of this condominium present a study in understated elegance with their large glass walls and sleek, clean lines. The warmth infused by natural light filtering into Park Residences condos for sale is further enhanced by the generous wood details in the buildings’ exterior and interiors. High-quality building standards and methods, such as deep pile foundation system, were used in the development of Park Residences. The amenities provided in this development include a heated resort-type swimming pool with a spa, four poolside cabanas, and a custom-designed fire pit. Park Residences likewise features a spacious private courtyard, open trellis with seating provision and a barbecue area. Storage for bikes and kayaks is also provided in the condominium buildings’ ground level. Of the 18 condos at Park Residences, six are penthouses with a living area of about 2,500 square plus a 2,250-square-foot rooftop terrace. These prime units are designed with three bedrooms and three baths, with their price appreciation very much apace with the uptick on valuations of Lido Key condos for sale. Notably, a Park Residences penthouse sold in early 2016 with a tag price of $1.7 million was relisted in 2017 with an asking price of $2.1 million. The starting prices of lower floor condos sold at Park Residences ranged between $1.3 million and $1.6 million. Each unit at Park Residences boasts of customized features from flooring to fixtures and from wall textures to trim. High-end appliances and smart home tech are bundled with these amazing residences. Condo owners can rent their units for a minimum lease of one month up to six times annually. Residents can keep up to two pets of up to 100 pounds in weight. 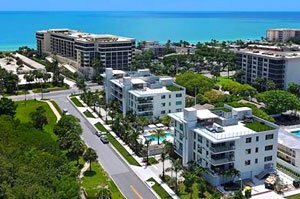 The condominium’s location, though in a serene part of Lido Key, keeps its residents conveniently near many of the lively local points of interest. One of these, the St. Armands Circle, brims not only with shopping and dining venues but also hosts many special events regularly. Extending a trip a bit east to downtown expands the lifestyle delights to choices including the arts and culture activities which has vastly contributed to the development of and livability of Sarasota’s communities. Below are the current real estate listings available at Park Residences of Lido Key.